The most commonly reported reason for the colonisation of Australia is the overcrowding of British Prison system and the need to find a place to resettle the convicts. After the American war of independence, it became impossible for Britain to send convicts to America. There was one more pressing reason and without that the British wouldn’t have thought of sending the convicts to half the world away. Britain had been at war with France and Holland and the British ships hadn’t been able to use ports under the control of the Dutch in South Africa for refilling food and water on their way to the countries of the east. This even threatened the trade and military supremacy of the British. The British considered setting up settlements at River Gambia in West Africa and Das Voltas Bay in South Africa. Das Voltas Bay was a barren rocky area and River Gambia was a hot and harsh place. British were forced to look elsewhere. 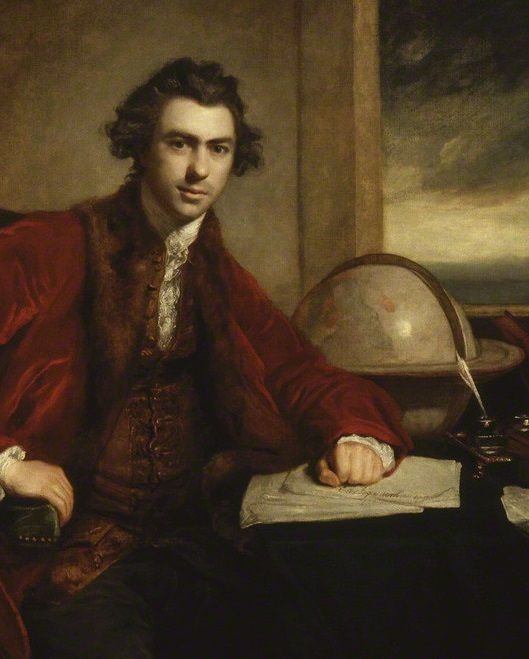 Sir Joseph Banks, was a scientist who had accompanied James Cook on his 1770 voyage of Endeavour to Australia. American Loyalist James Matra was a junior officer on the Endeavour. On 23rd August 1783, At Joseph Banks’s insistence Matra produced a Proposal for Establishing a Settlement in New South Wales. Matra’s plan was the original blue print for settling in Australia. Soon Sir Joseph Banks became the greatest proponent of settlement in New South Wales. The soil in Botany Bay was fertile. The big trees in Botany Bay were ideal for building ships and houses. The original inhabitants are very few and are armed with only spears tipped with fish bones. But Banks was wrong with almost all of what he said about Botany Bay. Botany Bay was not fertile with rich soil. The rich soil was nothing but black sand. The big trees Banks said were hollow or twisted and only good for firewood. The lush grass Banks described was long and coarse. The inhabitants were not few as Banks promised but there were a lot more of them. Banks managed to see only a few during his expedition there. The First Fleet took 250 to 252 days to reach Botany Bay from England and arrived between 18th January to 20th January 1788. The First Fleet was commanded by Arthur Phillip.Soon Phillip realised that Botany Bay is not the heaven Banks pictured. The water was too shallow to allow ships to anchor close. The fresh water was scarce and the soil was poor. Arthur Phillip started looking for other places to start a colony. On 21st January 1788, Phillip with a small team set out in small boats to explore other bays for settlement. Phillip discovered Port Jackson, 12Km to the north. It had sheltered anchorage, fresh water and fertile soil. James Cook recorded the area in his 1770 voyage and named it after Sir George Jackson, one of the Lord Commissioners of the British Admiralty. This area later became the city of Sydney. Despite Banks’s inaccurate descriptions, he remained the general advisor to the British Government on Australian matters for the next 20 years. Every vessel came from NSW brought plants, animals and geological specimens for Banks’s research. He also contributed by sharing his wealth of knowledge in developing the agriculture and trade of the new colony.